With the number of suitable family homes on the market at a real low at present and mortgages still hard to come by, it appears as though the rental market will continue to see a lot of activity in the coming years. With property prices plummeting since 2007, many people have turned to the rental market to find a home for themselves. A fear of ever falling prices and a lack of suitable and affordable stock are just some of the elements that have driven them towards renting. What that has meant though is that demand for good rental accommodation has also risen and with that demand, rents have gone up. That trend is likely to continue this year, which in one sense makes it difficult for tenants but also for the landlord. A rise in costs are forcing some landlords to get out of the business at present. In recent years they have had to pay the non-principal private residence tax (NPPR), the household charge, personal tax and Private Residential Tenancy Board charges of €90 per registration. Landlords who have houses let in flats have also suffered more because they are charged NPPR tax per flat rather than per house. This year they will also have to pay the property tax and while it will replace the household charge, it will also be more expensive. To add to their ever growing list of responsibilities, landlords will also have to provide Building Energy Rating (BER) certs for their properties if they want to advertise them for rent. That will apply if they are advertising on a site such as MyHome.ie or in their local newspaper or advertising notices board. On top of this, tax relief on interest has been reduced to 75% of mortgage interest so now landlords are paying tax on income they have not earned. Further new regulations this year will see some landlords having to upgrade bedsits to flats in order to make them fully self-contained. This in turn could lead many to scale back on their number of tenants and turn houses back into family homes. 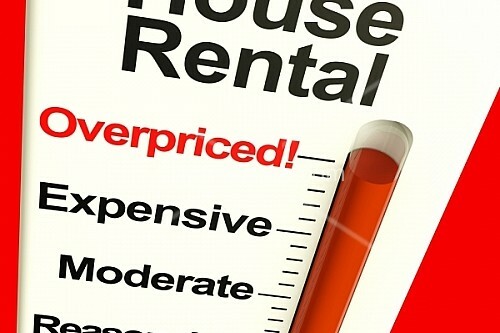 All of these extra costs are likely to drive rental costs up. The property tax, for one, is almost certainly going to be passed on in increased rental charges. This creates greater problems for tenants but also for landlords who may not be able to service mortgages or attract tenants to their properties as a result. All of this comes at a time when a reported 1.5 million people claim to have €50 or less to spend each month after essential bills are paid. If house prices continue to fall and rental costs rise, it could attract more people back to the residential sales market. For many people that is a luxury they simply cannot afford though and that is where the real problem could lie. Could you afford an increase in your rent? Would you be willing to pay €50-€100 a month extra to stay in your current accommodation? If you’re a landlord would you consider getting out of the business? For all the supposed legislation, Private Landlords are still getting away with murder! For those receiving Rent Allowance, it is the norm to pay up to 1/3 of the Rent “under the table” to remain withing thresholds set by the HSE. There is still a lot of mouldy, damp, freezing cold, draughty kips out there – many of them built in the early 2000s – which landlords are not prepared to repair. If a tenant complains there are few protections. The rise in what are seen by landlords as “more affluent” employed tenants who are not on rent allowance has pushed prices up and forced rent allowance tenants into paying huge tops ups from the money which they should be using for food, heating etc. It is not unusual after rent and landlords private electricity meters are paid, for tenants to be left with less than €20 per week to feed, heat and clothe a family. Until the State recognises the need for Public Housing, the Private sector landlords will continue to bleed every penny from those who can afford it least. The Gombeen men have become our new absentee landlords and we are no better off than we were in the the 1800s! I wonder where you get this information about rent rising. The government is attacking those of us who invested in property with the hope of securing our pension and relieving the government of future burden. They are fixing and reducing rent through rent supplement and imposing taxes on landlord. It is now a big liability to have a rental property. On the other hand the banks are squeezing us too, by taking as much as possible. Current rent is far short of current outlay. On top of these average value has fallen by 70% – massive negative equity. The social effect on families involve in this sector is unbelievable because they have to reduce consumption to subsidies the properties. Homes a breaking due to money stress. Selling is also not an option at the moment for those us who still have a big mortgage on these properties. Imaging having to sell a property with €250k mortgage at €70k. This is a life long liability for which there is no asset. There is no point in staying in the market. As soon as I can (if I am not bankrupt before then) I will be out the market. This government should remember that they will have to pay us state pension in one way or the other if we do not have the income we invested for. For those of us who are professional, it we are declared bankrupt we won’t be able to practice and the state will have to carry the burden one way or the other. So, policy maker thank you for creating more future liability for the state dressing it up as correction. We are not the one that wreck the economy, we are only trying to look after our future and not be a liability on the state. History will certainly judge you – certainly not in a good way. Most tenants have been forced to pay increased PRSI on salary, levies on income, VHI, pension savings, and car insurance, PRSI on pension contributions, and shares purchased under ESOP schemes. These taxes are many times higher than the new taxes payable by an owner of a rental property. According to the logic that rent should reflect the prevailing level of taxation of the parties involved, a rent reduction is due. But that is not how a free market operates, supply and demand are the only relevant considerations. I have to say that my experience over the last 5 years has driven me to near despair as far as letting to students goes !!! My house has been wrecked on two occasions and left in a filthy condition on two others. Why is this ? We are constantly told these people are the future of this country! If so then God help us all!!! So, houses are worth the square root of nothing, we are in the middle of a recession, but everyone is renting so rents will go up? That smells like the kind of nonsense we were expected during the “good times”, such as that house prices in Ireland had never dropped in the past, and soft landings. The truth is that landlords and investors and the people who swallowed the old guff are being squeezed for more and more by the government, so they want to pass this on in rental cost, hence everyone is renting but rents will go up – 2 chances of that lads, unfortunately. Would definately love to get out of rental properties, bought 3 as a pension!! now regret buying them. I am a very fair landlord. If I could turn back time. Getting out would be great Ann, but who will buy the properties?????? Rents are going to rise in urban areas. It might take 12 months more for this to really kick in. The amount of rental stock in these areas is also decreasing as landlords are selling up and investing their money in other classes of investment where they can get better returns. They are mainly selling to owner occupiers. Rental demand doesn’t seem to be decreasing in urban areas despite the greater portion of buyers now being owner occupiers. There are still enough young people coming into the housing market – with rental or purchase requirements – to hoover up supply. With all the extra taxes on landlords including PRSI on rent from 01 Jan this year it doesn’t take a rocket scientist to work out what is giong to happen to rents in urban areas. The Government have loaded on the property taxes at way too heavy a rate and they are going to send landlords out of the property business in their droves. The mandarins who have put the boot into landlords with all theses new taxes are soon going to realise they will have scewed the market and driven rents north. This will have a big effect on the country’s inflation rates. A reasonable increase in taxation levels over time would have been absorbed by the market. Landlords are in the busineess to make a return and not to provide a social service. Yuo can’t blame them for selling up and going elsewhere. work we put in, getting out now seems best????? I am a landlord and have always been very good with my tenants we have in fact reduced our rent for our clients, it works both ways. But with all the increases with water charges, property tax, NPPR, etc we are considering getting out of this area what do you want a second home for its like a rope around your neck now ?? I have several rental properties in negative equity that will not be able to recover until I’m over 80. I will absolutely raise rents where and when I can to cover penal taxes and try to make a few bob while I’m alive. Responsible Landlords letting properties to responsible tenants at reasonable rent cannot be expected to absorb the household charge as currently proposed.obviously this needs to be viewed in conjunction with the services,if any being provided either by the landlord or local council. In any event someone has to pay, and I for one do not believe this change in funding our services is necessary at this time.The existing system worked well and is not a failed or flawed procedure,so why change it.We can no doubt protest over the fairness of rents until the cows come home,but the market will find its own level and we will find accommodation that meets our needs at a rent we can afford. At the end of the day we pay for what we get,whether that be good, not so good, or just adequate. As for who renders to Cesar at this juncture remains a bit contentious. While I could afford an increase in rent I would certainly not pay it, I have a budget and that will not be broken, in fact, when my lease is up I will most likely rent somewhere €100 cheaper per month so I can continue to invest and save the same amount to buy a house after my reduced income in recent times. I would not pay a penny more for my current accommodation and am already planning to downgrade when prices go up. I would be much more worried about NAMA “Dumping” Properties onto the market at any price they can obtain for them thus distorting the real market values of the Properties (Renting & Sales). NAMA is now also now heavily involved in Commercial Properties (Hotels, Office Blocks & Pubs!!!) what’s going to happen to the real market value of these Properties??? I believe that people renting should pay the property tax not the landlord. If a property is empty and available to let then no tax should be paid just like commercial rates. I am involved in the the management of apartment blocks and the biggest change that I have seen is in the profile of apartment buyers. In the boom years only 30% of the apartments were sold to owner occupiers and out of the last 20 apartments sold only two were bought to rent out. This is not the full story as most of the apartments sold were previously rented apartments. If this continues rent will rise. There is no new landlords coming into the market and all the landlords I know would like to reduce their holdings. In the short term it is difficult to know what will happen , most pepole expect a large amount of properties to come to market this year as NAMA and the banks off load. God knows what way the market will react to this. This is very one sided view of situation. Since increased numbers of houses that were meant to be sold are turned to rent (because prices are low) this creates oversupply on the rent market. While there is significant emigration happening at the same time (especially visitor from Poland are good example – and they were mostly renting). Free market is based on supply and demand when margins allow that and as far as my analysis goes there is still good margin in renting. This tells me that this article was not based on any numbers just speculations. Their are tenents that are taking the cheap houses and tenants that are taking the nicer property.. Rent is of course going to rise but mainly due to that farcical new property tax -especially when a number of landlords own multiple properties. Once again, people are paying for something they shouldn’t have to, this time its from the mismanaged disillusioned government to the tenants… Passing the buck to the least deserving seems to be the favoured method of the Irish Government. The bank technically owns my property, does that mean they’ll pay my property tax? I mean at the end of the day they’re the reason it’s there.. Oh wait I’m thinking of a fair system that targets those directly involved.. How silly of me. An increase in rent would cause difficulties, whether affodable that wouldobviously depend on the increase. Not a landlord bt due to my work deal with a lot, & there are some who have said they are seriously considering getting out of the business, understandably. I do not believe rents are going to rise in the near future,the likelihood of this happening is quite minimal.